Following this development, the manufacturing sector looks quite attractive. Thus, investing in mutual funds having significant exposure to companies from manufacturing and related sectors seems prudent. The ISM reported that its manufacturing index increased from 58.1% in July to 61.3% in August. Moreover, the index topped the consensus estimate of 57.7%. Additionally, the U.S. manufacturing index posted expansion for 24 straight months. Steady expansion in manufacturing sector is good news, as manufacturing accounts for around 12% of the economy. The U.S. manufacturing sector continued to expand in August following an increase in new orders, production and employment. Adding to continued expansion, most of the industries offered a positive outlook for the business environment and the economy in general. New order count rose from 60.2% in July to 65.1% in August. Also, 15 out of 18 industries expanded, which is the best since this January. In particular, an above 60 reading in new orders’ gauge for the 16th straight month, signifies that the sector is gathering steam on the back of favourable demand side picture. Also, Production, Supplier Deliveries and Inventories Indexes climbed 4.8 percentage points, 2.4 percentage points and 2.1 percentage points month-over-month to 63.3%, 64.5% and 55.4%, respectively. Additionally, the ISM Employment index advanced from 56.5% in July to 58.5% in August, its best gain in the past six months. 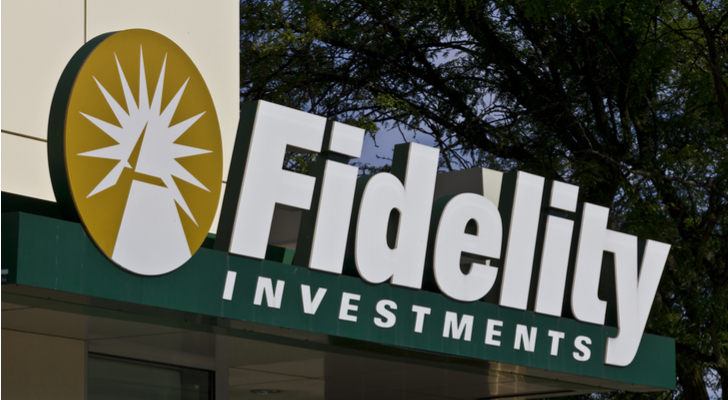 Fidelity Investments is considered one of the leaders in the financial services industry with presence in eight countries of North America, Europe, Asia and Australia. The company had total assets under administration of more than $6.8 trillion, with around $2.1 trillion mutual fund assets under management as of Mar 31, 2018. Fidelity has 27 million individual customers and manages a large number of mutual funds across a wide range of categories, including both domestic as well as foreign funds, and equity and fixed income funds. The primary reason for choosing mutual funds from Fidelity is the fund family’s focus on index-based funds or sectoral funds, which that have significant exposure to the manufacturing and related sectors. Following strong manufacturing activity in August, we have selected three Fidelity mutual funds that boast a ZacksMutual Fund Rank #1 (Strong Buy) or 2 (Buy). Moreover, these funds have encouraging three-year annualized returns. Additionally, the minimum initial investment is within $5000. FCYIX carries an expense ratio of 0.77% compared with the category average of 1.22%. Moreover, FCYIX requires a minimal initial investment of $2,500. The fund has one-year annualized returns of 16.4%. The fund sports a Zacks Mutual Fund Rank #1. Tobias W. Welo is the fund manager of FCYIX since 2007. As of the last filing, United Technologies is the top holding for FCYIX. Fidelity Select Construction & Housing Portfolio (MUTF:FSHOX) invests a major portion of its assets in securities of companies involved in construction and design of commercial, residential and industrial facilities. FSHOX invests mainly in common stocks of both U.S. and non-U.S. companies. FSHOX carries an expense ratio of 0.79% compared with the category average of 1.19%. Moreover, FSHOX requires a minimal initial investment of $2,500. The fund has one-year annualized returns of 12.2%. FSHOX has a Zacks Mutual Fund Rank #2. Further, Neil Nabar is the fund manager of FSHOX since 2016. As of the last filing, Home Depot is the top holding for FSHOX. Fidelity Select Defense & Aerospace Portfolio (MUTF:FSDAX) invests a huge portion of its assets in securities of companies involved primarily in the research, manufacture and sale of products and services as per the defense or aerospace industries. The fund seeks capital growth by investing in both U.S. and non-U.S. companies. FSDAX carries an expense ratio of 0.76% compared with the category average of 1.22%. Moreover, FSDAX requires a minimal initial investment of $2,500. The fund has one-year annualized returns of 29.1%. FSDAX sports a Zacks Mutual Fund Rank #1. Further, Jonathan Siegmann is the fund manager of FSDAX since 2015. As of the last filing, Boeing is the top holding for FSDAX. Article printed from InvestorPlace Media, https://investorplace.com/2018/09/3-fidelity-funds-ride-best-manufacturing-boom-2004-ggsyn/.